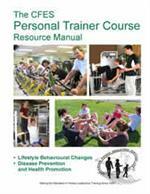 The Personal Trainer Course Resource Manual topics include: health screening and fitness assessment; training principles; risk management; program design for disease prevention and health promotion; business and marketing skills; motivating the client; and the core competencies to work within Scope of Practice. 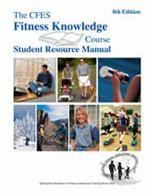 The information presented in the manual is comprehensive and academically credible and is designed to provide personal trainers with the knowledge base to assist clients in making positive lifestyle changes by assessing health related fitness levels and providing sound, evidence-based advise on both physical activities and healthy eating habits. 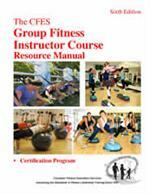 The CFES Personal Trainer Course Resource Manual is used by qualified course conductors within the national fitness leadership certification program. 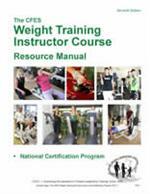 In this course students learn more advanced theory in a classroom setting and put that into practice in the weight room. 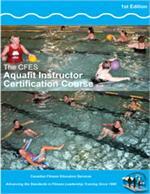 Click here for more information on CFES Personal Trainer national certification. *Note: Cost of the manual is $89.25 + shipping + taxes. Product is shipped by Canada Post Xpresspost and must be ordered separately from all other products.